If you are new to blogging or haven’t studied much about blogging before venturing into it, there is every possibility for you to learn the wrong things about SEO, organic traffic, social media and right tips to get your blog going fine. With my experience as a tech blogger and one that pays attention to only what’s genuine and worth implementing, I bring to you the top 5 best blogs to learn professional blogging tips and Search Engine Optimization. Matthew Woodward of matthewwoodward.co.uk is a blogger to reckon with when it comes to Search Engine Optimization (SEO) and learning the act of professional blogging. Ignore visiting his blog only if you are 100% satisfied with mediocrity or with little interest in improving the traffic stats of your blog. He’s a known god when it comes to sharing his own case studies and recommending only the tools he uses. You can hardly go wrong with his tips and tool’s recommendation. His blog focuses on Search Engine Optimization (SEO), Affiliate Marketing, Social Media Marketing (SMM) and blogging tutorials. In the past, Matthew Woodward has written a detailed review for aHref, Google Keyword Planner, serpstat, SemRush, Majestic SEO, Google PageSpeed, and other top search engine optimization tools. Adrienne Smith of adriennesmith.net is a top female blogger that teaches you pro blogging tips without any reservation. She has always been top-notch right from the days of New Super Affiliate till date. Her blog is a known destination for blogging tips, social media promotion, tips for traffic and list building. You can make each of your content go viral by following the tips on her blog. There’s even more to learn from Adrienne Smith’s blog as she has got slathers of followers who trod her blog every now and then. shoutmeloud.com is a nice website to learn blog design, on-page search engine optimization, social marketing and pro blogging tips from top bloggers. It is very similar in style to labnol.org that should have made our list if not that it is down at the time of writing this article. techlila.com is owned by Rajesh Namase who is no mean name in blogging and Search Engine Optimization (SEO). From search engine optimization, blog design, blog maintenance to affiliate marketing and social media promotion, Rajesh Namase will walk you through all you need to learn about blogging without any special reservation. 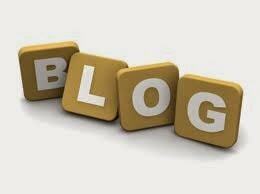 bloggingcage.com is owned by Kulwant Nagi who is a full-time blogger, entrepreneur and internet marketer. I once featured his blog in my list of top 15 best technology blogs to bookmark and follow and Top 13 Bloggers that Rocked My 2013. You can’t go wrong with his awesome tips on blogging, digital marketing, best blog design practices, theme customization, internet marketing, and search engine optimization. Previous PostHow to Easily Activate Windows 7 Using RemoveWAT?